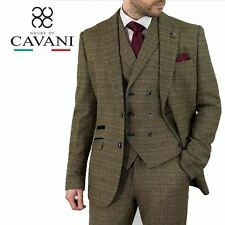 Cavani Tweed Waist Coat. Condition is Used but only once for a few hours. Been stored on a hanger in a non smoking house. 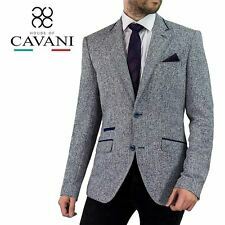 Para Hombre Chaleco Cavani Ropa Formal Chaleco Espiga 36" - 50"
Cavani label on button holes. Still has all pockets sewn shut as well as the vent. All Over Woven Tweed Fabric. Velvet Trim Detailing. 2 Internal Pockets. 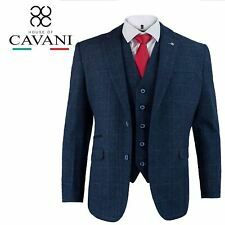 Cavani Chaqueta en Marrón Tweed Talla 44 pecho fue £ 139.99 ahora! 49.99!! última! 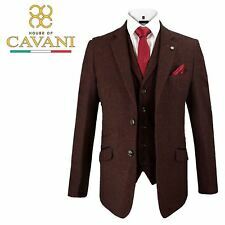 Cavani Jacket in Tweed Brown. One breast pocket with zip. Two side patch pockets. Size 44 Chest. 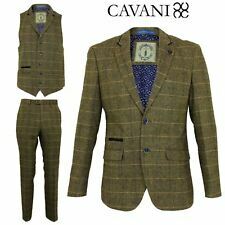 Cavani Jacket in Brown Tweed Size 44 Chest Was £139.99 Now 49.99! Last one! Cavani Hooded Jacket in Dark Navy Size 42 Chest Was £139.99 Now 49.99! Last one!